A social worker who faked documents she knew would be relied upon by the courts when arranging fostering placements for children has been struck off. Philippa O’Callaghan, a social worker with 26 years’ experience, was working for Salford Council in 2009 when she carried out assessments of three couples, all of whom were prospective permanent foster carers. For each assessment, O’Callaghan included the views three personal referees. However, when later challenged by her line manager, she admitted that she had falsified the references. O’Callaghan also produced part of a Special Guardianship report in which she said reports from referees were attached – but she had not obtained said reports. The General Social Care Council’s conduct committee found she had acted dishonestly, adding that “safeguarding provisions had been abandoned and vulnerable service users had been put at risk”. O’Callaghan knew the falsified entries, which were produced over a period of nine months, would be relied upon by family placement panels and the courts, the committee found. She had had “ample time” to reflect upon her actions and take remedial steps, but failed to do so. 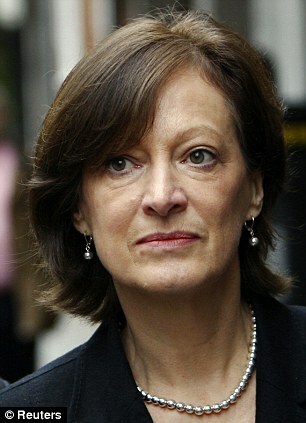 O’Callaghan did not attend the hearing, but the committee took into account her long period of service as a social worker, as well as a positive reference from her line manager at Salford. However, the committee concluded that the mitigating factors did not outweigh the necessity to remove her from the register. Keep up to date with the latest developments in social care. Children in care – The Department for Education. Children in the care of local authorities are one of the most vulnerable groups in society. The majority of children in care are there because they have suffered abuse or neglect. At any one time around 60,000 children are looked after in England (of whom some 59 per cent are subject to care orders). Some 90,000 children are looked after at some point in any one year. The Government wants every child in care to grow up safe, happy, healthy, secure and loved. This is the only way they will be able to fulfill their potential. Those accommodated on a voluntary basis through an agreement with their parents under section 20 of that Act, or agreement with of the child if they are over 16. The rest are cared for in a number of different settings including residential schools and placement with parents. The Who Cares? Trust, working with the Department, has produced a guide for young people on being in care. Effective child protection is essential as part of wider work to safeguard and promote the welfare of children. However, all agencies and individuals should aim to proactively safeguard and promote the welfare of children so that the need for action to protect children from harm is reduced. The Director of Children’s Services, under section 18 of the Children Act 2004 has responsibility for ensuring that a local authority meets their specific duties to organise and plan services and to safeguard and promote the welfare of children. Each local authority is responsible for establishing a Local Safeguarding Children Board (LSCB) in their area and ensuring it is run effectively. An LSCB can cover more than one local authority area. ensuring that looked-after children are safeguarded in a foster family, children’s home or other placement. The family justice system is callous, corrupt and staggeringly expensive – Telegraph. Justice for Our Children: Home at last: The twins snatched by the state | Mail Online. It was the kind of rueful joke that any exhausted new mother might make after a traumatic emergency Caesarean section. Implicit, of course, was the emphatic message that she would do it all again in a heartbeat, for the sake of knowing the joy of motherhood. Throughout her pregnancy she had dreamed of the day she and husband Adrian would leave hospital as a family. She couldn’t wait to take their son and daughter, Ashley and Olivia home, and settle them into their nursery. But she had no idea that this passing remark about her figure — lovingly spoken, in a private moment — was being secretly documented by a nearby nurse or that it would set in motion a Kafkaesque nightmare which would tear her family apart. Observing that Tara appeared ‘bitter’ towards her twins, the nurse updated the babies’ daily diary — a set of notes that are kept as standard practice on neonatal wards to help staff keep track of each premature baby’s progress. The incident — if one can call it that — was never mentioned to Tara or Adrian. And if there were any other signs that something was amiss, the Normans, as new parents to two premature babies, were understandably too preoccupied to notice. The Normans, whose twins were yet to leave hospital, were left bewildered and the woman made no mention of the comment Tara had made about her body. Any loving parent would have been panic-stricken by such a threat — but for the Normans it was even worse. This threatened their only chance of having a family. Owing to a rare hormone disorder, Tara is unable to conceive naturally. The couple had endured five gruelling rounds of IVF and suffered a miscarriage before she eventually fell pregnant with twins. There could be no doubt of their desire to become parents or their commitment to care for their children, yet social workers claimed that Tara had made ‘emotionally abusive’ comments towards the twins. In their professional opinion, Tara and Adrian could not cope with the demands of first-time parenthood with two premature babies. Havering Borough Council, acting on information supplied by Whipps Cross Hospital in East London,warned that Ashley and Olivia were at risk of ‘significant harm’ and launched court proceedings to take the six-week-old twins into care. According to the hospital, the Normans were struggling to care for the twins, born six weeks early and weighing only 3lb each. As evidence of their ‘inadequate parenting skills’ and failure to bond with the twins, nurses cited Tara’s comments and occasions when the couple had not fed the children the recommended amount of milk or changed their nappies properly. Whatever the fears of the nursing staff, who no doubt felt they were acting in the best interests of the children, what happened next seems to be a gross overreaction. Within days a protection order was granted at a secret Family Court hearing and the six-week-old twins were discharged from hospital and placed in a series temporary foster homes. The pain of returning home without their children was almost unbearable. They had spent months preparing their four-bedroom, semi-detached home for the twins and had decorated a Winnie The Pooh-themed nursery. 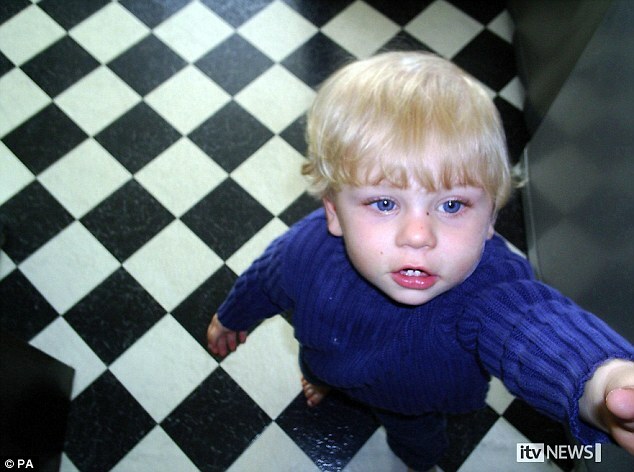 The twins were placed in a foster home, but moved within 24 hours to a placement with a foster family near Southend, Essex, an hour’s drive from the Normans’ home in Hornchurch. Tara and Adrian were allowed just five hours’ supervised contact a week. Recalling their first visit, Tara says: ‘We walked in and I saw our tiny eight-week-old twins propped up on the sofa between the foster carers’ two children, who were just nine and five. Tara’s infertility was caused by a childhood infection, which resulted in a hormone disorder. She and Adrian, who met in 2003 and married a year later, always knew fertility treatment was their only hope of conceiving. In May 2005, their GP referred them for IVF and the couple sought private treatment, to avoid NHS waiting lists.Over three years, they spent an estimated £38,000 on IVF treatment, paid for from a £1 million compensation fund, which Tara received after being hit by a car on a zebra crossing at the age of 19. Fifth time around, the treatment worked; the twins were successfully implanted in May 2008 and the couple made arrangements for the twins to be delivered at a private maternity hospital, The Portland, in Central London. But two months before her due date, Tara developed the potentially fatal condition pre-eclampsia, and she was rushed to Whipps Cross for an emergency Caesarean section. Early hospital notes praise the Normans for their efforts, as well as indicating their need for ‘help, encouragement and constant supervision’. Adrian and Tara acknowledge their inexperience and insist they would have welcomed support from social workers. But instead, Havering began care proceedings. It was ten agonising months before Tara and Adrian were allowed to see and hold their own children unsupervised. During that time they were warned during court hearings that their desperately longed-for twins could be put up for adoption. Who could blame the Normans for believing they were on the verge of losing their children for good? Under the social workers’ diktats, Tara was told she should stay at the foster home in Southend for five nights a week, to gain some hands-on experience of caring for her twins. The foster couple’s home was officially designated as a ‘mother and baby unit’, so Adrian was still limited to seeing the children for only an hour a day, five days a week. The arrangement was intended to bring them closer to taking the twins back. But to witness another couple acting as parents to their children was excruciating. They were told to get separate solicitors and warned that it was possible custody would be awarded to just one of them, meaning they would have to live apart after five years of marriage. It was, without doubt, an extraordinarily cruel punishment for a non-existent crime. Without evidence that any violence or abuse had ever taken place, huge decisions were made in haste. As a result, the twins spent their first precious year in the arms of strangers. But why did it happen? Tara and Adrian have a theory. 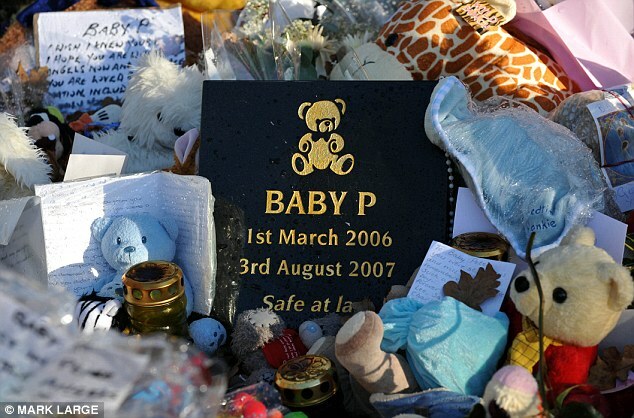 The twins were born in December 2008, at the peak of nationwide fury over the death of Baby P — Peter Connelly — in Haringey, North London. The Normans believe they were victims of the ensuing political panic. And even when, in March 2009, the twins’ court-appointed guardian formally recommended they be returned to their parents as soon as a parenting assessment was completed, nothing could halt the wheels of officialdom. When Tara protested, social workers noted that she had ‘anger problems’. She admits she once threw her handbag at a wall in fury, and it hit a social worker on the arm — she accepted a police caution over the incident. Two social workers also claim she threw her mobile phone at them. Her understandable frustration was regarded as proof of the risk she presented to her children. ‘They had taken my children away from me. How was I supposed to react?’ she says. In January 2010, more than a year after their birth, the twins were allowed to go home with their parents under a court supervision order. Key to this was Adrian’s decision to take voluntary redundancy to help Tara to care for the twins. Health visitors and social workers visited the family’s house at least once a fortnight and consistently reported that Ashley and Olivia were ‘happy and content children’. Now toddlers, Ashley and Olivia cling to their parents and demand constant attention, but the Normans hope they will not remember their separation as they grow up. No further concerns were raised and the court supervision order expired in February this year. The Normans, who are considering taking legal action against the council, have received no formal notification from the court or the council, although Family Court officials have confirmed to the Mail that the case has been closed. But they cannot shake the fear that officials will find a pretext to take their children again. It may be over as far as the council is concerned, but Tara, Adrian, Ashley and Olivia continue to live with the impact of their decisions. Their ordeal may finally be over, but for years to come, precious moments like these will serve as a reminder of all that she and Adrian so nearly lost. Charities are warning that thousands of children placed in care far from home are more vulnerable to criminality, drug abuse and sexual exploitation. A third of the 64,000 children in local authority care in England and Wales live outside their local area. The charities say long-distance placements often traumatise children who are already damaged and vulnerable. From April, councils are due to be forced to have sufficient accommodation for children in their care. Thousands of children are currently being looked after in foster or children’s homes hundreds of miles from their local area. Charities – including Barnardo’s, the Who Cares Trust and Voice – say uprooting an already vulnerable child can be highly traumatic. Children in care are often deeply damaged from past abuse, neglect, or growing up with addict parents, the charities say. A shortage of local authority children’s homes stems from child abuse scandals in the 70s and 80s, they say. Private care homes have cropped up, but often in rural locations where property is cheaper. Local authorities, which pay the private homes, remain responsible for the children, but social workers can struggle to maintain contact with them if they are accommodated far away. The government plans to enforce a “sufficiency duty” on local authorities from April. Intended to cut the number of children being sent away, councils will have to increase care provision for children in their local areas. Parents Agains INjustice (PAIN) is a wonderful organization. I have corresponded with Florence & Allison and I am looking forward to this viewing. I frequent this site and have an RSS feed of your posts going onto my page. Council review finds flaws in cases of 500 children – 1/11/2011 – Community Care. Birmingham MP John Hemming blasts ‘power-crazed’ social workers – Top Stories – News – Birmingham Mail.